This is a blog where many questions will be asked. But to give you an idea of what you’re getting into, here are the basic ones that keep me up at night. What can a philosophical exploration of the research and ideas coming out of neuroscience, psychology, an evolutionary biology tell us about consciousness, free will, the self, and morality? Also, how can this knowledge inform conversations about science and technology policy, the justice system, the education system, behavioral economics, and a broad range of ethical issues from Neuroethics to bioethics? It should be, but isn’t, more widely accepted that what we learn about the origins and causes of our nature has large scale affects on the systems we set up and how we interact as human beings. Notions of the self and how it is constructed are not only at the forefront of questions to do with psychological well being, but even our ability to be responsible agents in the face of facts regarding the neural bases of behavior are dilemmas we can no longer ignore. Our image of who we are is changing. 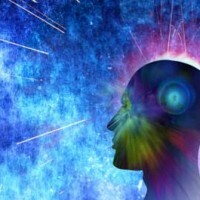 Our understanding of our conscious states is growing. The cultural and social consequences of this growing understanding needs to be addressed. How can what we know about the processes of learning and memory affect the education system? How does knowledge of the causes of human behavior affect everything from the justice system to politics? How will the availability and effect of enhancement drugs and modifications change our understanding of ourselves and our relationship with each other? And further, what scientific and technological changes in the human condition should we pursue? How should we go about pursuing them? Scientific research isn’t carried out in a vacuum. It needs to be funded. Volunteers (willing when they are human, not so much when they are animals) are needed. Scientists will have nothing to say about the access to, and uses for, the things they develop. But even more fundamentally important, they often times are not engaging in the kind of necessary thought experiments regarding the implications of the success of their research. Few of us would argue against the practical application of being able to remove susceptibility to vicious neurological disorders from our genome. But what about when we get into the realm of profound physical enhancements? Mental enhancements? Who is having the conversations about the wisdom behind radical alteration of the human condition? Many of these questions in the end revolve around notions of consciousness. What are the types of conscious states we want to promote? What are the types of conscious states we want to not allow? What are the kinds of conscious states we can inflict on others? This is the intrinsic connection between conscious studies and ethics that is too often ignored. And like in any field of study we need to have experts addressing these issues. But all of us should be actively engaged in thinking about, and discussing, these ideas as well, since they’ll have a very practical affect on us, our children, and our society for generations to come. I hope to make this blog a place where this conversation can happen. A place where people can be exposed to the research and ideas coming out the cognitive sciences. A place where people can be given a platform to think more broadly and critically about the implications of this growing body of knowledge. And maybe most importantly, a place to help people think about their own mental states, their own existence, through the lens of cognitive science.